Here’s to a simple life. These are daily occurrences that are difficult to avoid. For every moment spent awake, there are goals to be pursued and trials to be braced. The appeal of a simple life lies within the ability to focus on the things that matter more by cutting out on the things that don’t, while not having the need to do it alone. When you’re fretting about not knowing what to wear, just turn to a sister. She doesn’t have to be impeccably glamorous all the time, but she knows the right time to wear the right things. Materials, colours, silhouettes—she sticks to what works for her while never being afraid to experiment when she’s in the mood. The sense of familiarity and comfort allows her to navigate a multitude of social terrains and occasions with ease. Take cues from her and allow yourself to walk a mile in her shoes. You might learn a thing or two new, and perhaps gain a newfound gratitude. Albeit there’s no denying our general obsession with the new, there’s nothing more telling than our habits of coming back to what we’re most familiar with. A sisterhood that is either built upon friends who become sisters or sisters who become friends possesses the same dynamic of how we keep returning to the same piece of denim that flatters our bodies the best, the childhood pillow we should have outgrown a decade ago that is merely held up a poorly-sewn case. 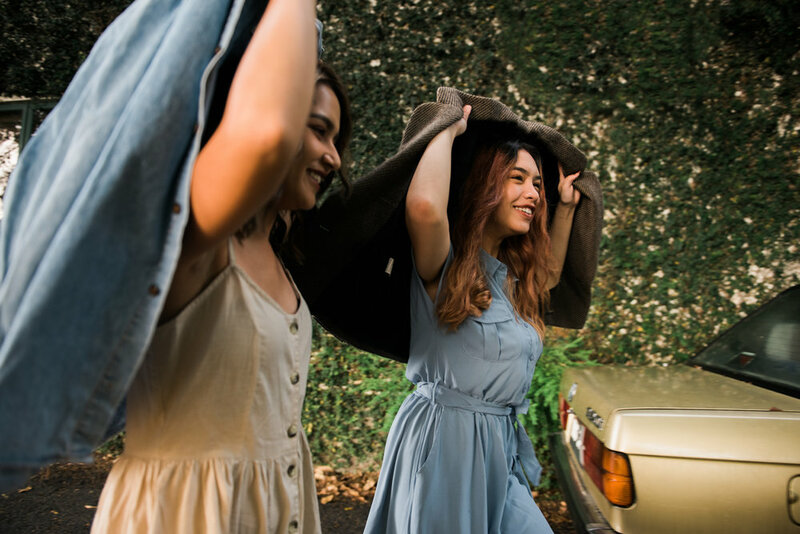 Looking beyond the occasional cattiness and sibling rivalry, sisters who have seen each other through thick and thin only grow in fondness as time passes, just like wrinkled linen and faded denim that uniquely develops over time. Rather than merely relying on the security a label gives in a relationship, sisters will have each other’s backs, no matter what. A simple life could also be realized through acts of service for a fellow sister. Sometimes it’s free: your advice to cut off toxic people from her life, and sometimes it costs a little more: splurging on a dress that’s been sitting in her wishlist for a couple weeks now. 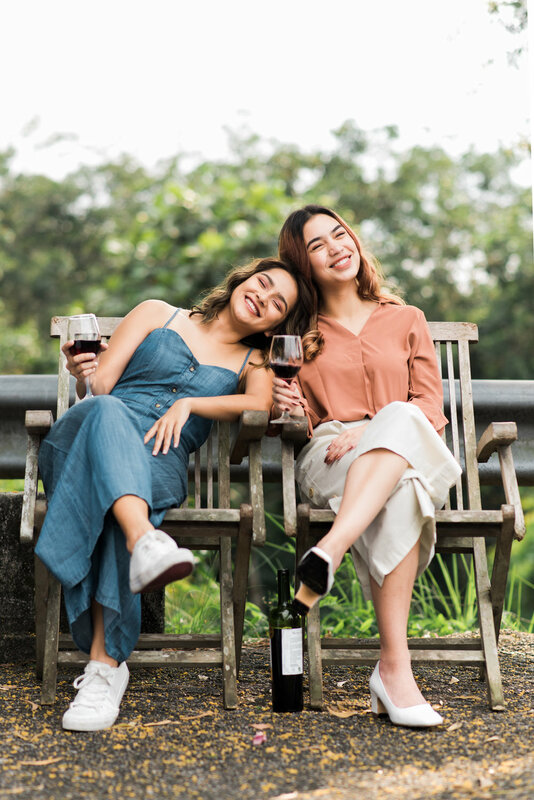 Rather than just focusing on acts that are purely self-indulgent, a shared, positive outlook on life through an uplifting relationship with a sister takes away the stresses of having to deal with challenges alone, too. The fine line that sets the difference between the time the both of you could not wait to grow up and the period you both wished to bask longer in times of youth goes to show the shared longing for the simpler of both times, be it the lack of parental supervision or the concern towards financial stability. Having a sister to hold on to allows opportunities to reflect, reminiscence and grow. The pursuit towards a simple life isn’t about packing your bags and leaving it all for a vineyard in the Southern France. In reality, one of the many ways is through being a good sister, for your good sister.